Hakgojae, one of the leading galleries in Korea, has opened a new gallery in the posh district of Cheongdam, south of the Han River. Hakgojae started in Insa-dong in 1988, which was then the center of the country’s art scene. In 2008, the gallery moved its headquarters to a traditional Korean-style building in Samcheong-dong. The opening of Hakgojae Cheongdam coincides with the gallery’s 30th anniversary. “Hakgojae Cheongdam will try to focus more on introducing artists who can appeal to collectors in their 30s and 40s. The gallery will also try to introduce artists who have not been introduced here,” said Woo Chung-woo, president of Hakgojae Cheongdam and the second son of the gallery’s chairperson, Woo Chan-kyu. 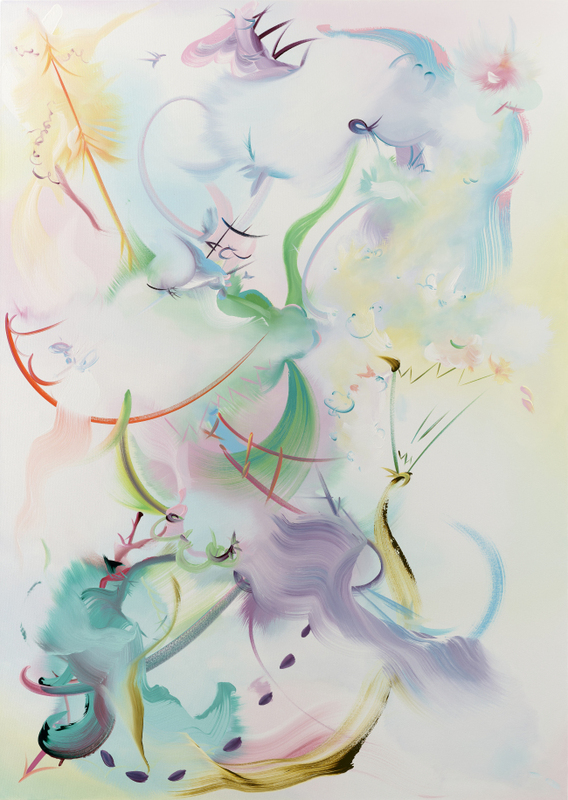 For the gallery’s inaugural exhibition, Hakgojae is holding Fiona Rae’s first solo exhibition in Korea. Rae is a Hong Kong-born British artist who gained international recognition in 1988 at the Freeze in London. She was also nominated for the Turner Prize in 1991 and was appointed as the first woman professor of painting at the Royal Academy Schools in 2011. 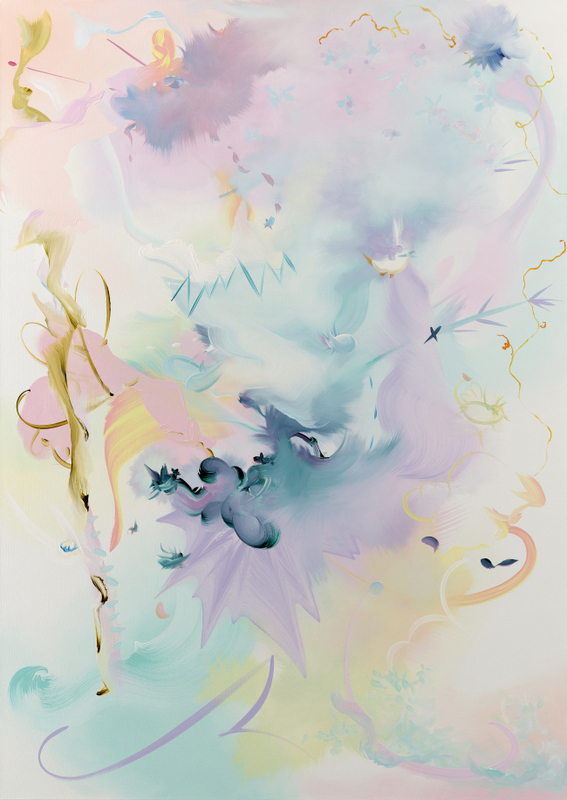 The exhibition comprises 11 paintings produced over the past five years, including “Sleeping Beauty will hum about mine ears” (2017) and “Snow White lifts the moon out of her sphere” (2017). As their titles -- combinations of fairytale characters and lines from Shakespeare -- suggest, Rae brings together elements of so-called “low” and “high” culture, blurring the lines between the two. Rae’s paintings combine exuberant pastel colors such as magenta, orange, pale yellow and white -- colors perhaps found more frequently in pop art than in so-called “high art.” She also favors floral shapes, as well as sunbursts and stars, reminiscent of a cartoon scene. At the same time, Rae uses delicate and precisely calibrated painting techniques, creating a unique landscape that inspires the imagination. The exhibition runs through Jan. 20.